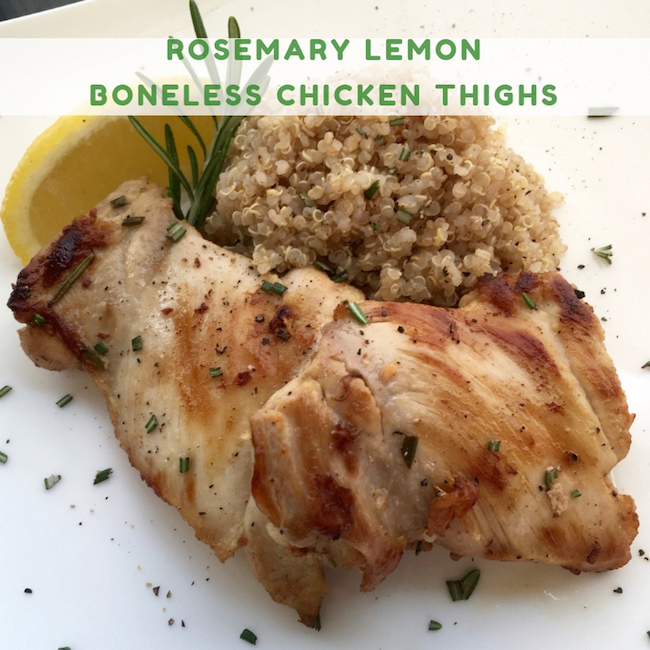 Rosemary Lemon Boneless Chicken Thighs is a quick and easy recipe perfect for hectic weeknight meals. 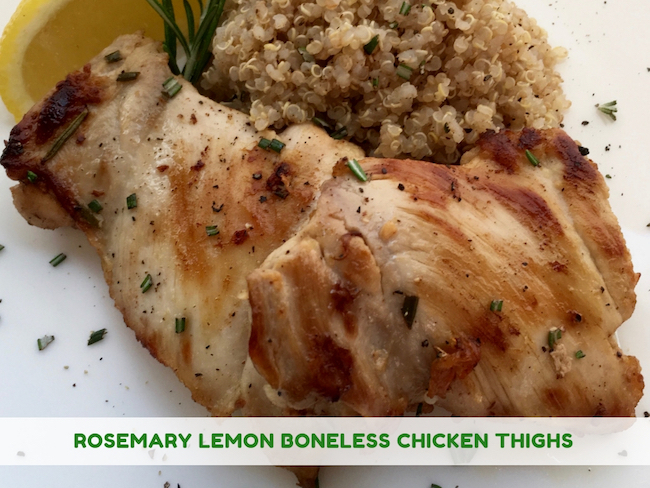 Featuring a classic blend of lemon, garlic, and rosemary, this dish doesn’t need a lot of fancy ingredients to deliver robust flavor. 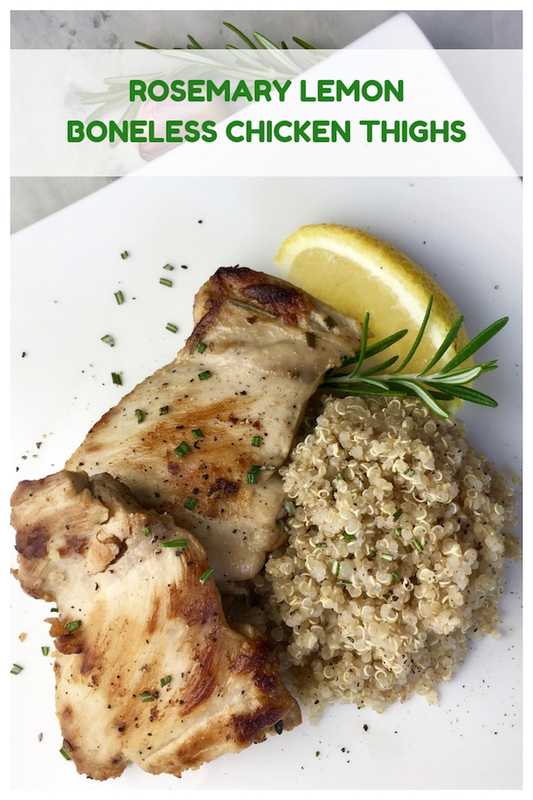 Rosemary Lemon Boneless Chicken Thighs is a quick and easy recipe perfect for hectic weeknight meals. This recipe features a classic blend of lemon, garlic, and rosemary, providing the dish with a robust flavor without a lot of fancy ingredients. This dish pairs beautifully with just about any side dish you choose, including steamed broccoli, brown rice, quinoa, or a leafy green salad. Place ½ of the lemon zest and juice with the garlic and rosemary into a small mixing bowl and stir to combine. Place the remaining lemon zest into an airtight container and freeze for future use in marinades, soups, or salad dressings. Set aside the remaining lemon juice. 2. Unroll the chicken thighs to expose entire surface area. Season with salt and pepper, if desired. Place the chicken thighs in a large, sealable plastic bag and pour the marinade on top. Seal the bag and turn it several times to make sure that the chicken is evenly coated. Place the bag into the refrigerator to marinate for a minimum of 30 minutes, ideally overnight. When ready to cook, heat the olive oil in a large skillet over medium-high heat. Remove the chicken thighs from the bag, allowing any excess marinade to drip off before transferring to another dish. Discard the remaining marinade. Working in batches if necessary, add the chicken thighs to the hot skillet and cook until browned on each side, approximately 3-4 minutes per side. Transfer the chicken thighs to a clean serving platter and set aside. Add the remaining lemon juice and ¼ cup water, if necessary, to hot skillet to deglaze. Gently scrape the surface of the pan with a spatula to remove any browned bits. Bring the liquid to a boil and then reduce heat to medium-low. Return the chicken thighs to the skillet and simmer for 3-4 minutes or until chicken is cooked through. Season with additional salt and black pepper, to taste. Remove from heat and serve immediately with your choice of sides. 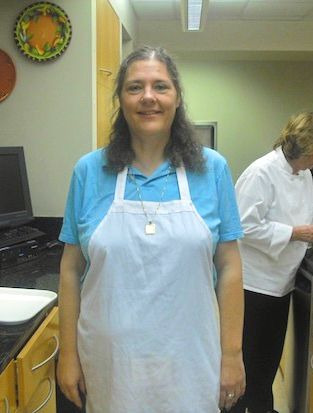 Place ½ of the lemon zest and juice with the garlic and rosemary into a small mixing bowl and stir to combine. Place the remaining lemon zest into an airtight container and freeze for future use in marinades, soups, or salad dressings. Set aside the remaining lemon juice. 2. Unroll the chicken thighs to expose entire surface area. Season with salt and pepper, if desired. Place the chicken thighs in a large, sealable plastic bag and pour the marinade on top. Seal the bag and turn it several times to make sure that the chicken is evenly coated. Place the bag into the refrigerator to marinate for a minimum of 30 minutes, ideally overnight. When ready to cook, heat the olive oil in a large skillet over medium-high heat. Remove the chicken thighs from the bag, allowing any excess marinade to drip off before transferring to another dish. Discard the remaining marinade. Working in batches if necessary, add the chicken thighs to the hot skillet and cook until browned on each side, approximately 3-4 minutes per side. Transfer the chicken thighs to a clean serving platter and set aside. Add the remaining lemon juice and ¼ cup water, if necessary, to hot skillet to deglaze. Gently scrape the surface of the pan with a spatula to remove any browned bits. Bring the liquid to a boil and then reduce heat to medium-low. Return the chicken thighs to the skillet and simmer for 3-4 minutes or until chicken is cooked through. Season with additional salt and black pepper, to taste. Remove from heat and serve immediately with your choice of sides. Enjoy! Would this also work with light meat like breast chicken? The chicken and quinoa sounds like a great combination. I’m always looking for ways to use fresh rosemary from my garden, and this would be a perfect recipe to try.